This two-handed weapon is simple, elegant, and deadly. With this, you can reach out and touch someone from an immense distance! 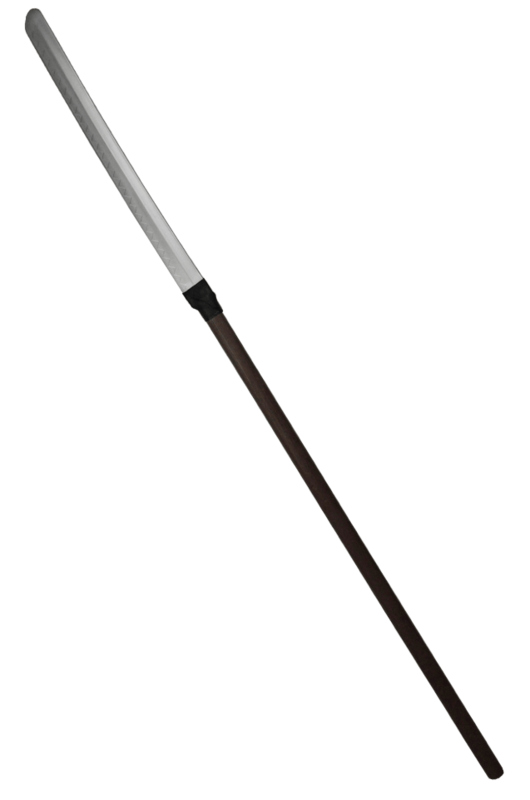 The deluxe styling of this naginata makes it a top-level favorite for those who prefer a two-handed approach to combat! 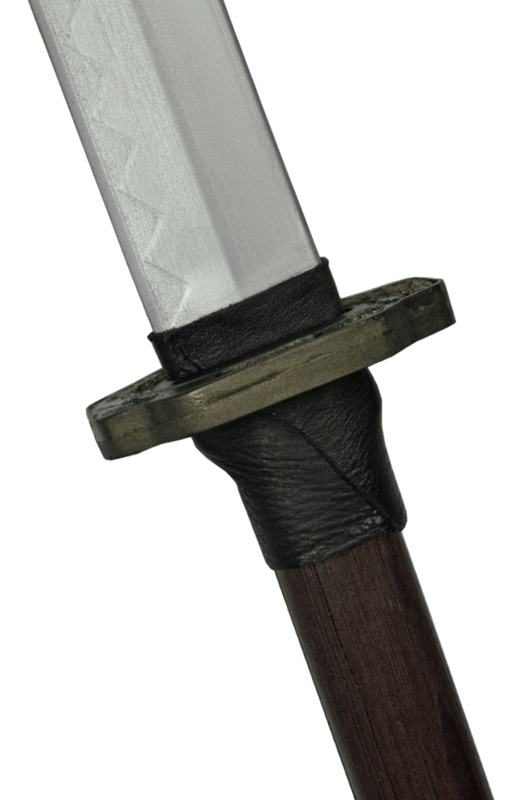 This two-handed weapon is two-thirds handle, one-third blade. 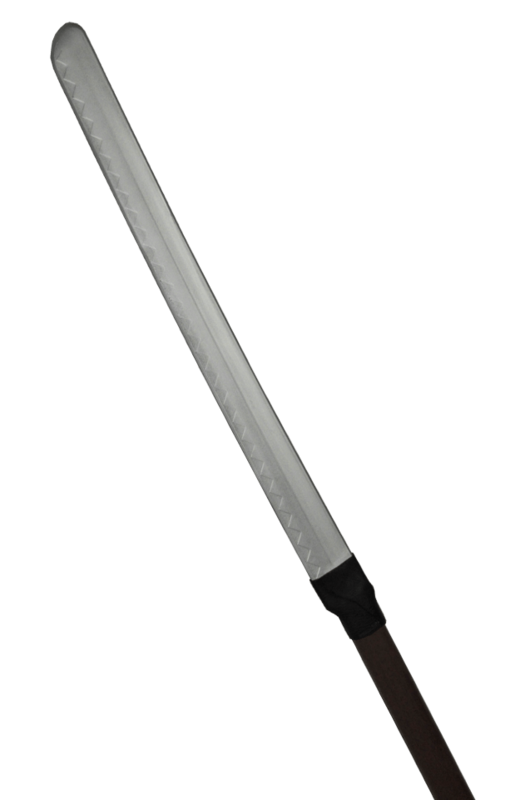 Like its historical counterparts, this weapon features a hand guard between the blade and shaft. The Jingu’s foam blade detail creates a thin and sharp look. 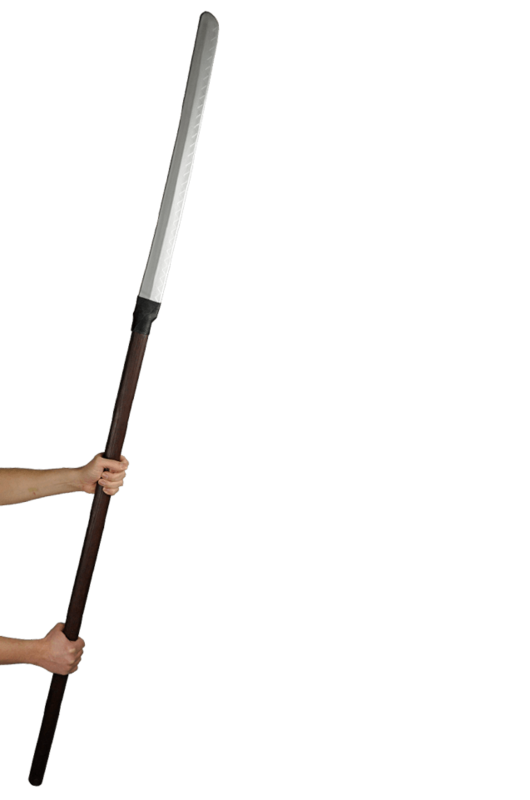 The length of this weapon makes it ideal for long strikes in safe LARP combat. Here's a video made by Calimacil demonstrating this item. Just like the musashi line, Jingu allows the use of a Tsuba, Calimacil's custom cross-guards. Tsubas are sold separately. Graceful, balanced and precise, it is ideal for characters such as Asian-inspired warriors, samurai, and elves. Historically, the Naginata is also a weapon of social status and triumph. It is well balanced, making for solid, accurate strikes. The Naginata implies ultimate swiftness and prestige.